Marion Thomas writes in a traditional storytelling style, evoking the poetry of the Bible story while retaining biblical accuracy. She lives with her family in the south of England. 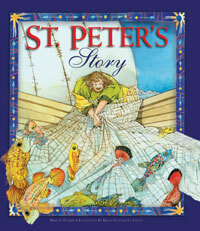 This is Peter's story, retold in this beautiful hardcover book illustrated by Italian artist Maria Cristina Lo Cascio. 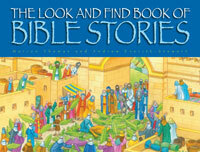 In this book of nineteen famous Bible stories, young readers can enjoy the detailed illustrations while looking for certain people, animals, or objects on each page. The Look and Find Book of Bible will help children learn about the major events in the Bible from both the Old and New Testament while having fun searching for things in the busy and colorful illustrations.